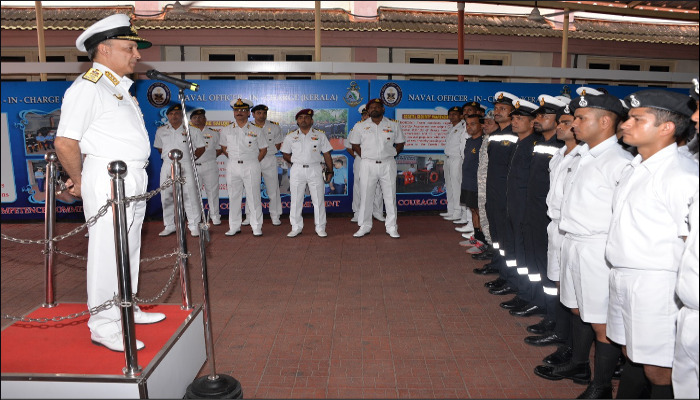 The Southern Naval Command terminated Operation Madad on 24 August 2018 on successful completion of rescue and relief operations. This was the largest ever HADR operation undertaken by the SNC that lasted close to sixteen days, with a total of 16,843 persons having been rescued, of which 15,670 were by boat, while 1,173 had to be airlifted. The efforts reached a peak with 92 rescue teams with Gemini boats deployed in a day. The aircraft were also able to undertake air sorties from daybreak to dusk without stopping. The Western and Eastern Naval Commands also pitched in with helicopters, divers, Gemini boats and other HADR material, sent both by IAF aircraft as well as naval ships. Rescue camps were organised at two places, Naval Armament Depot, Aluva and the T2 Hangar, Naval Base for the displaced persons. Ladies of the Navy Wives Welfare Association were also involved whole heartedly in the relief camps in distribution of food, clothes, other essentials to the needy and making them feel at home. Medical camps were set up at Wayanad and Aluva where access by road was not possible. INHS Sanjivani provided hospital care for more than 10 persons admitted post rescue, which included two deliveries. Several tonnes of food, water and other relief material was distributed by boats and by air. A community kitchen, which was feeding up to 10,000 people all three meals and tea twice was set up from the beginning of Madad and was only closed today. Emergency repairs of critical public facilities and infrastructure was undertaken at Amritha Hospital, Pazhassi dam and KWA water pumps to restore water supply, and some of the KSEB transformers to restore power supply. 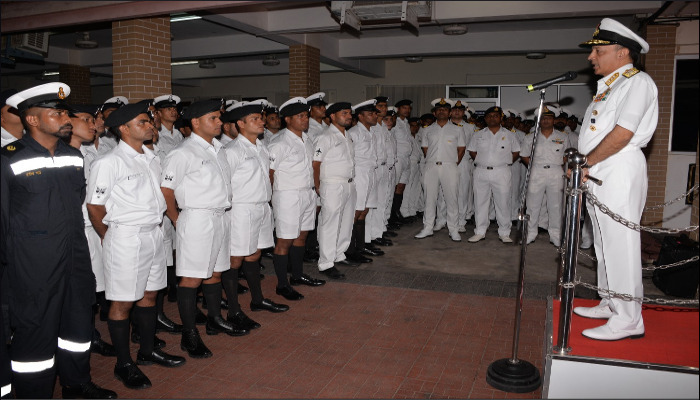 With flooding at CIAL causing suspension of commercial operations, SNC in liaison with DGCA, AAI facilitated use of INS Garuda for limited flying ops by converting the School for Naval Airmen (SFNA) to a make shift terminal. Commercial flying commenced on 20 Aug 18 and is still continuing as on date. 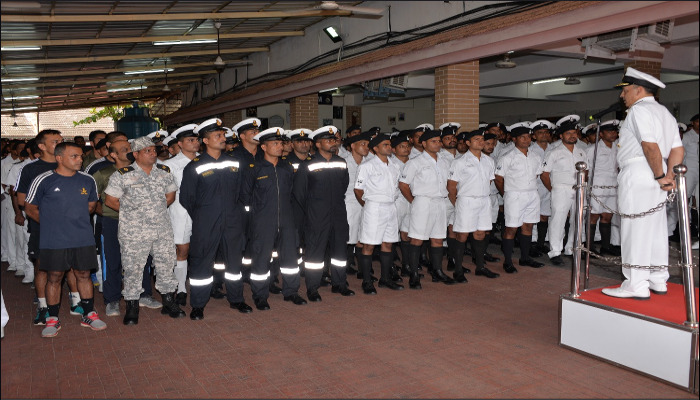 Vice Admiral AK Chawla, AVSM, NM, VSM, Flag Officer Commanding-in-Chief, Southern Naval Command, who led SNC during Operation 'Madad,' on termination of the operation, took the opportunity to address the rescue teams and appreciate the work done by the Command. He had special praise for the young officers and sailors who formed the mainstay of the rescue teams and executed their duties in a professional, confident and selfless manner, without any thought to their own personal comfort. 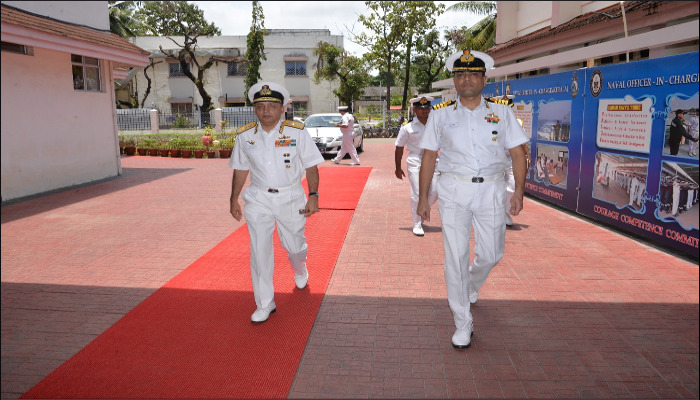 He also acknowledged the timely help and support rendered by other naval Commands. 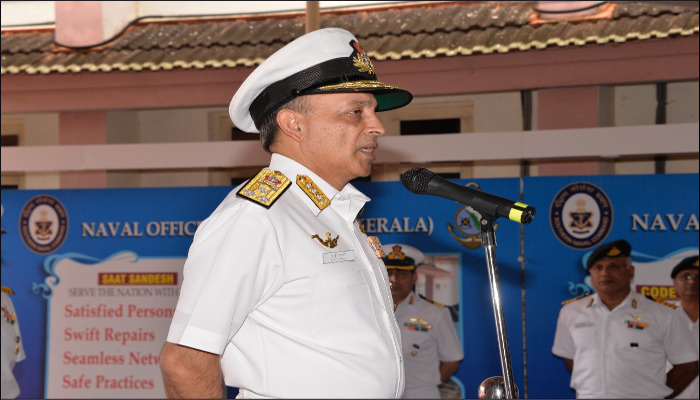 He said that this operation had showcased the capability of the Indian Navy and SNC to rise to the occasion, in taking on an unprecedented disaster of this magnitude and was confident that the Command would grow from strength to strength and be ever ready to meet even bigger challenges in future.